IBEW Local 322 and the Union Sportsmen’s Alliance have banded together to create a space for the National Elk Refuge to store the antlers that the elk shed that will in turn be auctioned off in order to help support the National Elk Refuge. This is being called the Shed Shed Project. Learn more on the National Elk Refuge website. Here in Jackson Hole, Wyoming at Grand Teton National Park, you will see acres of beautiful land, running water, and wildlife. But in the fall and winter months, it’s an even greater site to see. This beautiful place becomes something very special. It’s called home to over 11 thousand elk, thanks to the National Elk Refuge. When national forage runs out, they are fed here, taken care of, and visitors from all over the world get to see these incredible creatures. When the elk migrate they leave a beautiful reminder of their presence. Thousands of naturally shed antlers. These antlers in turn are used to help raise money to put back into the refuge. But with so many antlers, it’s been a challenge to find a place to keep them until they are auctioned off. Until IBEW Local 322 and the Union Sportsmen’s Alliance came along to volunteer their time and build a place for these antlers. It’s being called the Shed Shed Project. Collecting the antlers every year is a big group project. Cris Dippel: Deputy Refuge Manager, National Elk Refuge “Volunteer hours for this shed I would estimate around 700 man hours give or take. Reporting for IBEW Hour Power, I’m Erica McClaugherty. 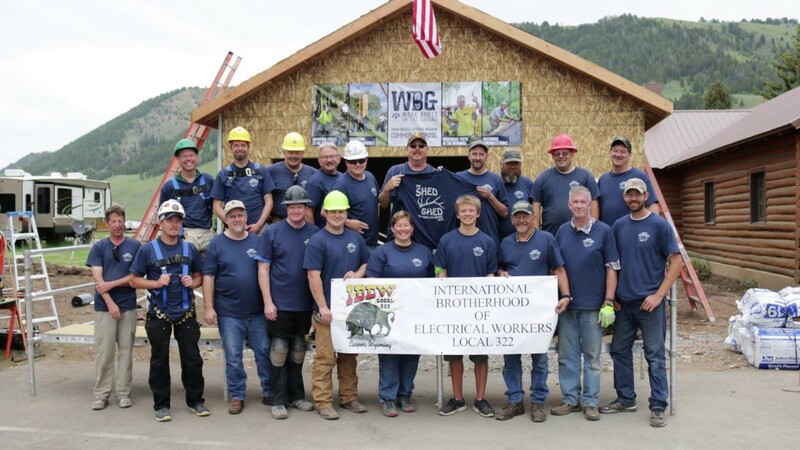 Erica McClaugherty joined the IBEW Hour Power team in 2015 and has been traveling around the United States and Canada ever since, bringing the stories of hard working IBEW brothers and sisters to life.